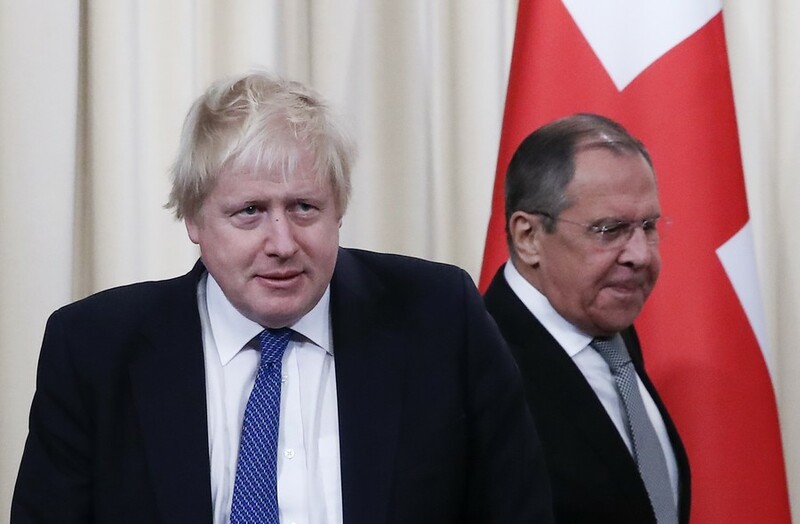 Boris Johnson and Sergey Lavrov were at their wittiest for the first trip by a UK foreign secretary to Moscow in five years, though a few passive-aggressive jabs were exchanged amid the pleasantries. Johnson set the mood, when, in his opening remarks, traditionally dedicated to reassuring formalities about strong ties and rising trade volumes, he singled out the booming export of Kettle chips and Bentleys to Russia as “sign of progress” in the bilateral relationship. He did not get a laugh from Moscow’s delegation across the gilded table. 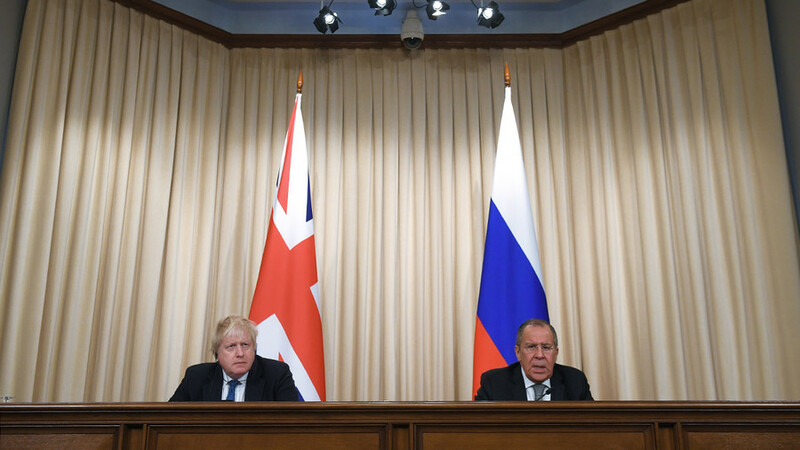 In his mirror statement, Lavrov, himself adept at lightening the tone, sounded significantly more somber, saying relations were at a “very low point.” Johnson preferred them term “a bad patch,” as if describing a squabble between distant uncles, and not a decade-long deterioration between Moscow and London, from accusations over the death of Alexander Litvinenko, to disagreements over Syria and Ukraine, to recent allegations of meddling in the Brexit vote. 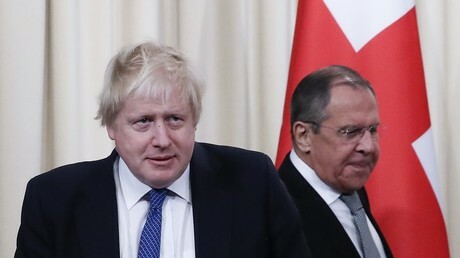 In fact the highlight of the visit came in the press conference, when the diplomats mildly breached protocol to engage in direct verbal sparring, as the Foreign Secretary interrupted his Russian counterpart, who had referred recently mentioned Johnson’s own remarks that there had been no evidence of Russia manipulating the EU membership referendum in 2016. “Not successfully. Not successfully, I think is the word,” said Johnson. “He’s afraid that if he doesn’t object, his reputation will be spoiled in the media,” retorted Lavrov. “Sergey, it’s your reputation that I’m worried about. I think it’s very important that we recognise that Russian attempts to interfere in our elections, whether they may or may not have been successful... are an important consideration,” Johnson fired back. 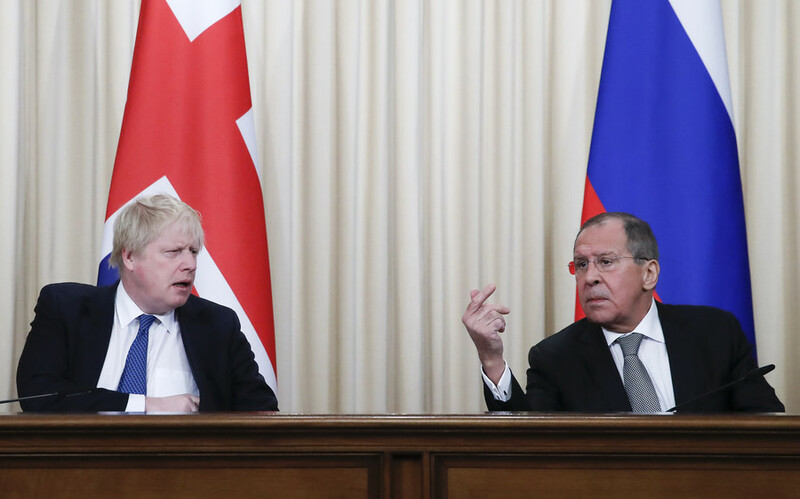 In response to what is the first face-to-face hacking accusation against Russia delivered to a top official, Lavrov came close to accusing the UK of lying. Johnson then went on to blame Moscow for trying to illegitimately influence elections in a range of Western states, in addition to his pre-trip comments that the UK would retaliate to any potential Moscow cyberattacks and propaganda operations. Away from the flashpoints, even the friendlier banter had an awkwardly ambiguous undercurrent. "I want you to know, to measure my trust, that as soon as I got into this excellent foreign ministry I immediately handed my coat, my hat, my gloves and indeed everything that was in my pockets, secret or otherwise, to Sergey Lavrov in the knowledge that he would look after it and it would come to no harm," proffered Johnson in his favored tone, somewhere between sincerity, buffoonery and facetiousness. 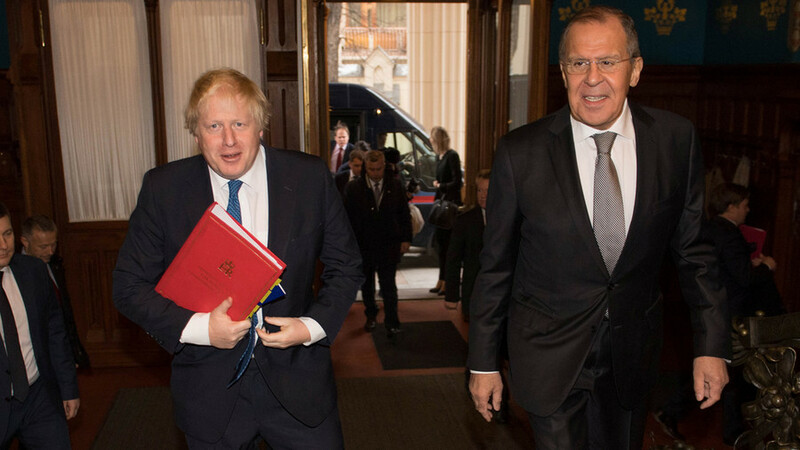 “I can say that there was nothing in Boris's coat pockets," Lavrov joked back. Among the positives – Johnson managed to clear up a genuine misunderstanding over his comments allegedly comparing Russia and “militaristic” Sparta (it was the Soviet Union he was referring to, not present-day Russia). 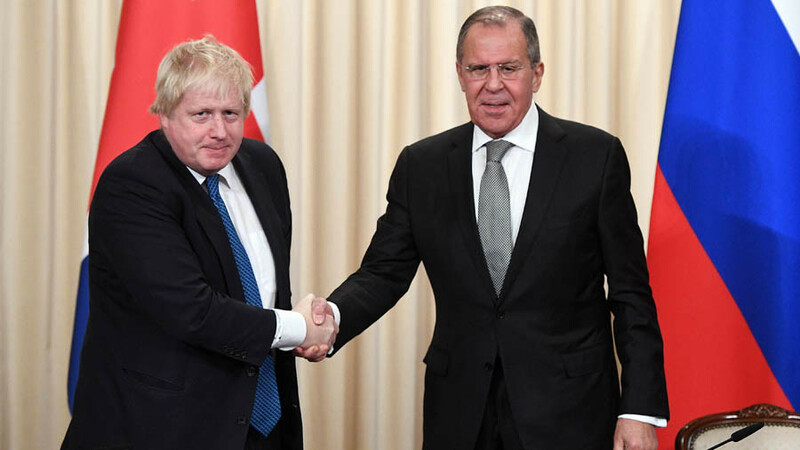 He also blathered convincingly about being “a committed Russophile” and “likely the last foreign secretary to be called Boris for some time,” though his trademark bonhomie may have rung a little hollow in the context. While no canned diplomatic feats were negotiated ahead of the trip – which had already been postponed twice this year – the two ministers did have an opportunity for one closed-door session. They discussed North Korea’s nuclear program, the Iranian non-proliferation deal, Syria, and security ahead of the World Cup in Russia next year. 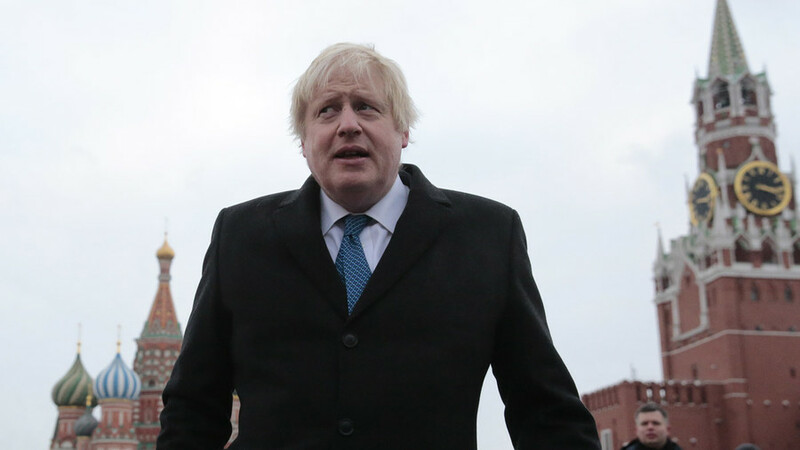 With journalists busy filing away the juicier quotes, Johnson made a less publicized visit to a top Moscow technical university, where he praised Russian expats in London as “wizards and geniuses” and gave a robust ideological defense of free markets. He wrapped up his visit with a pilgrimage to Russia’s main World War II memorial by the walls of the Kremlin, where he laid a wreath, before placing flowers at the nearby spot where Russian opposition leader Boris Nemtsov was shot in February 2015. The list of achievements from the 24-hour trip might have been scant, but with the Russian minister saying that he preferred speaking to his counterpart “face to face, not through a microphone,” and Johnson himself, noting that he and Lavrov get on better than Churchill and Stalin, there is hope it won’t take another five years for a top UK diplomat to next visit Moscow.